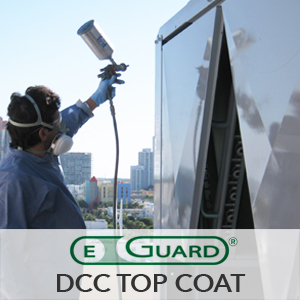 Energy Guard USA provides industry leading, corrosion-proof coatings for HVAC/R coils and equipment. 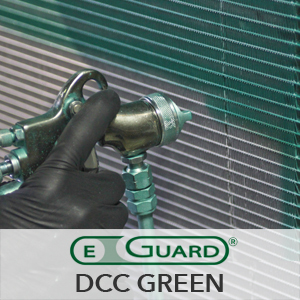 EGuard’s cost effective coating solutions can be used individually or as a complete system to protect and extend the useful life of HVAC/R equipment while maximizing efficiency and reducing operating costs. 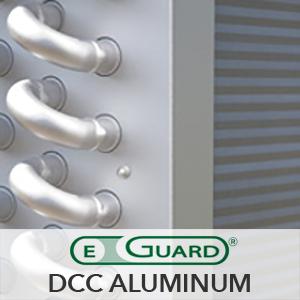 EGuard DCC coatings can be applied to new equipment at the OEM level or to individual units before, during or after installation. We also offer EGuard Rejuvenation Services which can be done on site to restore HVAC/R performance and extend the life of existing, in-service equipment. 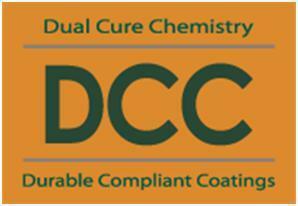 EGuard’s Dual Cure Chemistry (DCC) technology is a proprietary, hybrid curing solution that provides superior adhesion, excellent sealing properties, and fast cure (dry to touch) in just 15 minutes, allowing the fastest turnaround times in the industry. 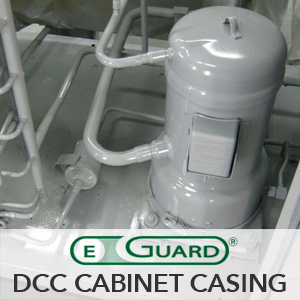 All EGuard DCC coatings are extremely durable and environmentally friendly with fast cure times, Low VOCs and minimal out gassing during the curing process. 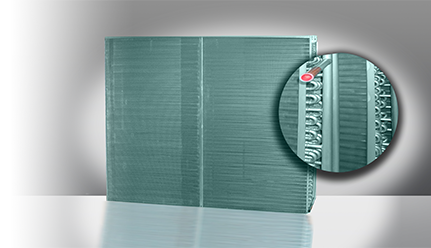 Green metallic, polyurethane DCC formula delivers maximum protection from corrosion and lasting performance for all types of heat exchangers. Silver metallic, polyurethane DCC formula delivers maximum protection from corrosion and lasting performance for all types of heat exchangers. Grey, semi-gloss polyurethane DCC formula delivers comprehensive corrosion protection for the inner and outer casing of any HVAC/R unit. Clear, high gloss polyurethane DCC formula blocks corrosion and UV damage for maximum protection of the outer casing of any HVAC/R unit.